Love the emotion of this. Genuine. I know so many people who wish they'd taken the time to get a picture like that, after it was too late. Very inspirational. 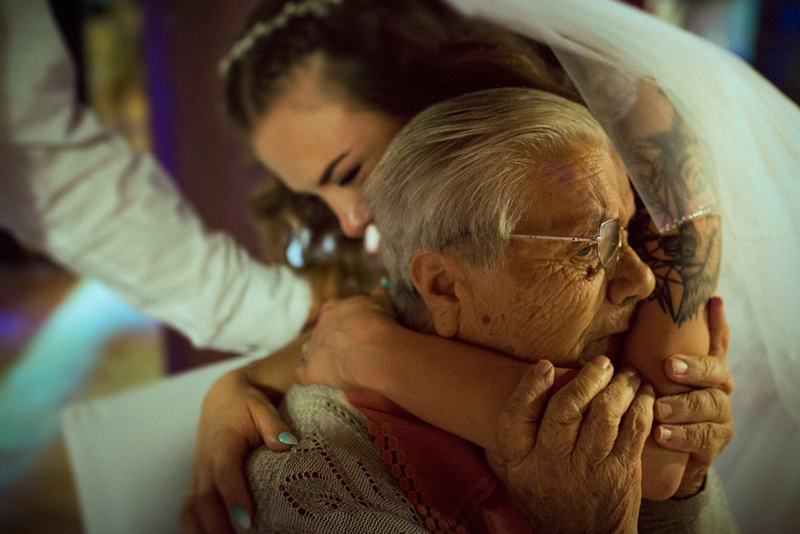 I love the expressions on the bride and especially her great-grandmother. I'll always wonder what she was thinking. Great picture. I'd love to know what the granny was thinking at that moment. This picture shows a lot of emotion.